So Beautiful! I love how you did that bow! So pretty! Very elegant! I like it a lot! 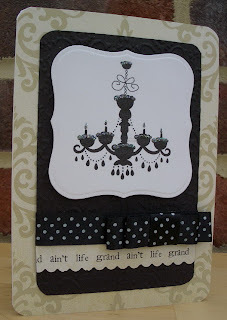 Really classy, unusual card! I love it! This is lovely. so sweet and elegant! This is lovely! So elegant! Thanks for joining us for the PTW challenge!